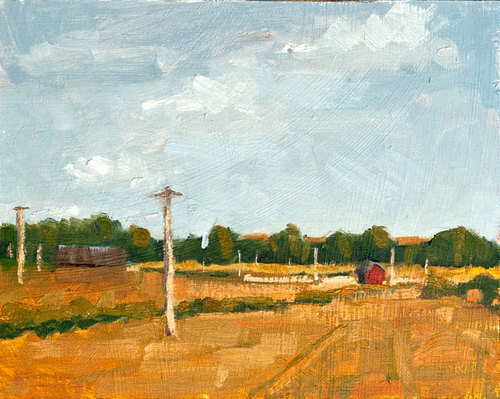 My direction of painting is focused on my perception of the light and dark shapes that make up a scene. The shapes define the structure, but it is the colours and values I aim to shift to create a dynamic and interactive painting. 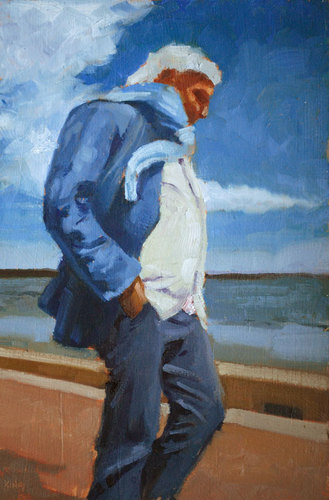 Painted from a candid photo taken in a small coastal town in France.